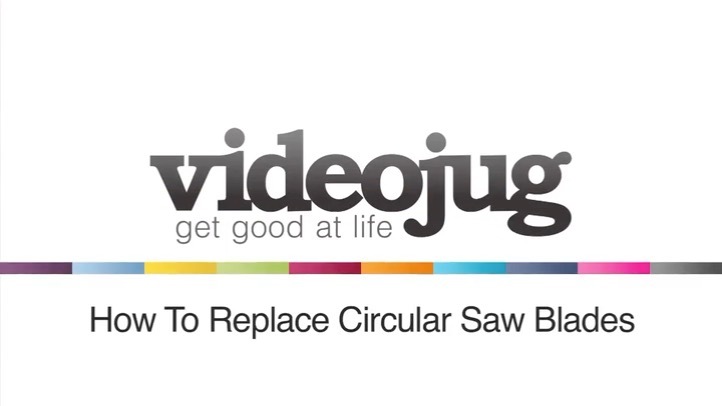 Quick and easy description of how to safely and correctly replace a blade on your circular saw. These tips will make you confident on that DIY task. Alright guys, in this video, I’m going to show you how to replace a blade on a circular saw. One very important thing before changing your blade on your circular saw, you must make sure that you isolate the machine by unplugging it. At the back here, you’ve got a little button that you press, which basically locks the blade into position, which locks the blade into place so you can undo the screw in the middle. In this case, it’s an Allen Key. So, you’re going anti-clockwise, loosen that off, take the screw out. Once you’ve taken that all the way out, remove this little plate off, you check the guide on the bottom, that will come off and just take your blade off. So, we’ve got a new blade here, putting this on the circular saw. You want to make sure your circular saw blade is the correct size for your circular saw. In this case, you can have a look at your ID plate here, it says 190 millimeters and if you just look on your blade, your blade should say exactly the same thing, 190 millimeters. The way you put on your blade is you checked the bottom guide. On this circular saw, you’ve got an arrow which points down towards the ground and you’ve usually got an arrow on your circular saw blade as well, so make sure they match up. In this case, this one will be going that way around, so it matches up to the arrow. Make sure once you put on your blade, make sure that’s flush. Put the plate on, that will fit on top and then you put your screw in. Lefty Lucy, Righty Tighty. Once you’ve done that, again, you use this button at the back to lock it in place so you can tighten up the screw. And that’s how you replace a circular saw blade.